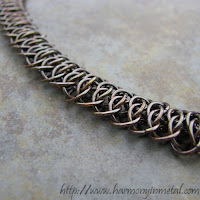 ArtFire Chainmaille Guild: Question of the Week - What is your favourite weave? Question of the Week - What is your favourite weave? 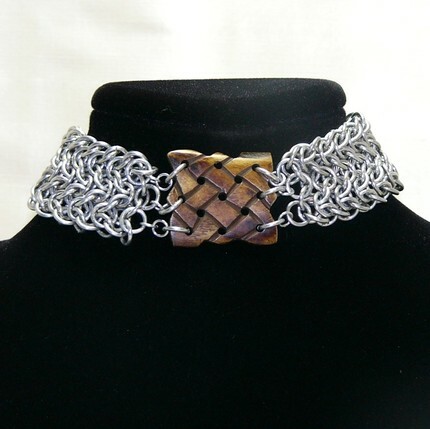 We are back with another Artfire Chainmaille Guild Question of the Week. The question posed this week was - "What is your favourite weave and why?" Harmony In Metal - Such a tough question. I think my absolute favorite would have to be Viperscale. I love it's bold, chunky look but it still has an element of sleekness. It has flex but is still very solid and sturdy. Little Metal Merchant - It's a toss up between the byzantine and the barrels. Both just seem practical and easy to throw into a design, especially when working with pendants or focal points. 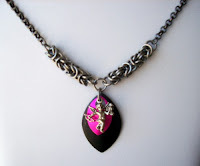 Barb's Designs - Wow, I really like so many. I figure any one I can finish is a good one. 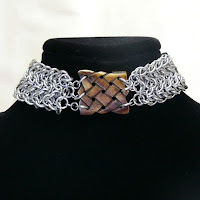 I just did Turkish round maille and really like it but love to wear tryzantine. 28 Sides Designs - I am still have a ton to learn but I love elfweave, it makes me think of celtic knotwork. 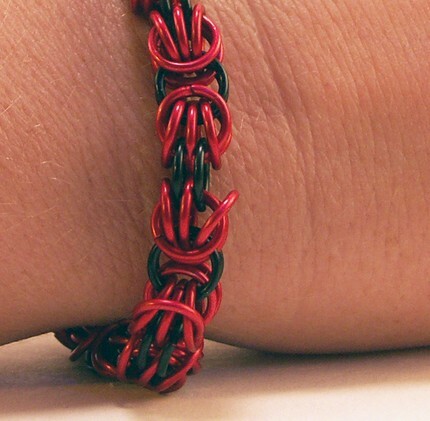 If you have any questions you would like answered by the ArtFire Chainmaille Guild, leave us the question in a comment here and we will answer it.